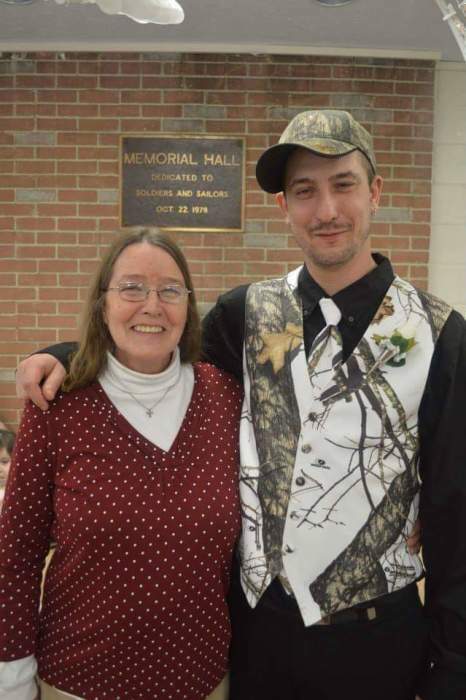 Dorothy Elaine Burkett 60, of Avonmore passed away Tuesday February 19, 2019 at UPMC Saint Margaret Hospital in Pittsburgh, after a courageous battle with cancer. She was born Thursday January 7, 1959 in New Kensington, Pa. the daughter of the late Robert L. and Jean Hartman Burkett. Before her retirement she was employed by Bacharach Inc. in Upper Burrell. She enjoyed swimming, fishing, hunting, riding four wheelers, and spending time with her family. Dorothy loved animals and surrounded herself with many pets. She is survived by two children; Chad W. Smith and his wife Dominica, of Avonmore, and Bridgette Pitts and her husband Omar of Mulberry, Florida, her significant other, John Bonnoni of Avonmore, three grandchildren; Todd, Meyah, and Rebecca, and two sisters; Rebecca Newlon of Ridgeway and Connie Coutuariex and her husband Robert of Ohio. In addition to her parents she was preceded in death by a sister, Roberta Jean Allen. Family will receive friends on Saturday February 23, 2019 from 10:00 A.M. until time of services at Noon in the Kelly L. Corridoni Funeral Home Ltd. 400 Indiana Ave. Avonmore, Pa. Services will be conducted in the funeral home with Pastor Lee Rupert officiating. Interment will be private, and will take place in Union Cemetery in New Kensington, Pa.